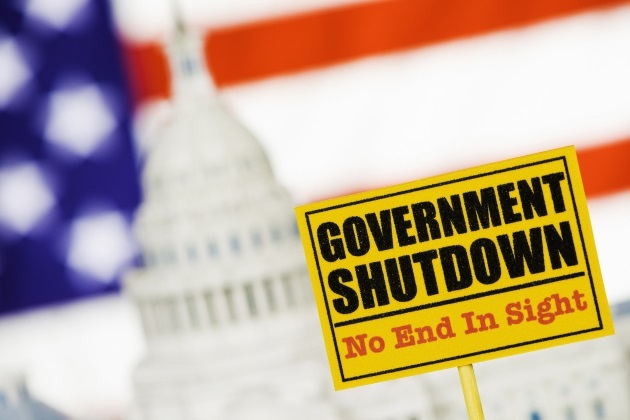 Uncertainty reigns among federal workers over their financial health and buying power in the face of a potential second partial government shutdown on Feb. 15, according to a survey from Clever Real Estate. The previous 35-day closure over a failed U.S.-Mexico border wall deal has left a lasting scar, survey results show. The eight-day survey, featuring a random sampling of 500 federal employees, indicates much angst as Congress and President Trump careen toward an unclear outcome of negotiations for a border wall, according to Thomas O'Shaughnessy, a research analyst at Clever Real Estate, which identifies as "a platform that connects home buyers and sellers with top agents." The survey started Feb. 1. A startling 78 percent of federal workers think that there will be another government shutdown. Call them unconvinced that House and Senate lawmakers can bridge the current political impasse with the president. Further, 45 percent of federal workers say that they cannot go another four weeks without pay. "Our results are relatively consistent with recent data concerning financial stability and preparedness across the United States," according to O'Shaughnessy, citing a recent Bankrate study. Its findings are that about 58 percent of Americans had under $1,000 in savings, while 73 percent had saved less than $5,000. About 33 percent of federal workers replied that the partial shutdown of the government changed their capacity to save money or to buy a big-ticket item. The biggest item that most Americans buy most of the time is a home. Some 38 percent of the respondents said they would need to put off buying a car and a house. This is a negative sign for both the auto and mortgage industries. The implications of this deferred purchasing could act as a brake on economic growth and the job creation it spurs. This dynamic appears to represent a headwind to the U.S. expansion since the end of the Great Recession in June 2009. It has an outsize role in the global economy. The International Monetary Fund’s World Economic Outlook Update released in January takes a cautious note, with this comment from Christine Lagarde, the IMF’s managing director. "As you know, in October the IMF cut its global growth forecast for 2019 and 2020, partly because of the negative effects of rising trade barriers. Today we are announcing a further downward revision of our forecast." Back in the U.S., the 800,000 federal workers who went without pay 35 days know a thing or two about economic distress, the Clever Real Estate survey found. "Many federal workers didn’t have enough cash savings to get them through the shutdown," according to O'Shaughnessy, with 41 percent of respondents either thinking of or resorting to the following tactics to make ends meet. Much is uncertain for the federal labor force and the businesses of all sizes that they patronize.